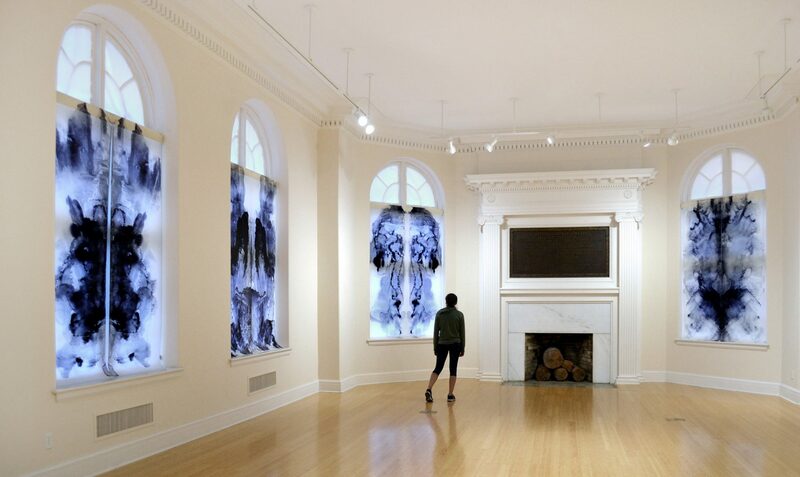 In June, I hung a site-specific installation with large-scale (8 feet x 5 feet) translucent ink drawings in the windows of the Pendleton Center for the Arts. I wanted to use the architecture of the gallery in a way that would shift the environment as you walk into the room–creating the feeling of a visual sanctuary. Blasser’s work generates an environment of quiet contemplation, revealing moments of poetic clarity where nature and artistic agency are fluidly intertwined. In light mirror | mirror shadow Blasser explores dualities through visual palindromes akin to the infamous Rorschach psychology test, with each drawing reflecting the altered shadow of its other half. The University of Alberta Museums Galleries at Enterprise Square coordinated a massive exhibition of U of A arts entitled: Brain Storms UAlberta Creates. The exhibition was mounted in two parts, opening on September 25, 2015 and closing on January 23, 2016. Over 100 works of art were featured including a video that I made in 2015: Waterfall Palindrome (on display for the full 4 months of the show). I got to visit Enterprise Square galleries while the team at Museums & Collections was installing the exhibition, but had to leave town before the show opened. Here are a couple of installation shots of my video in a black box space. 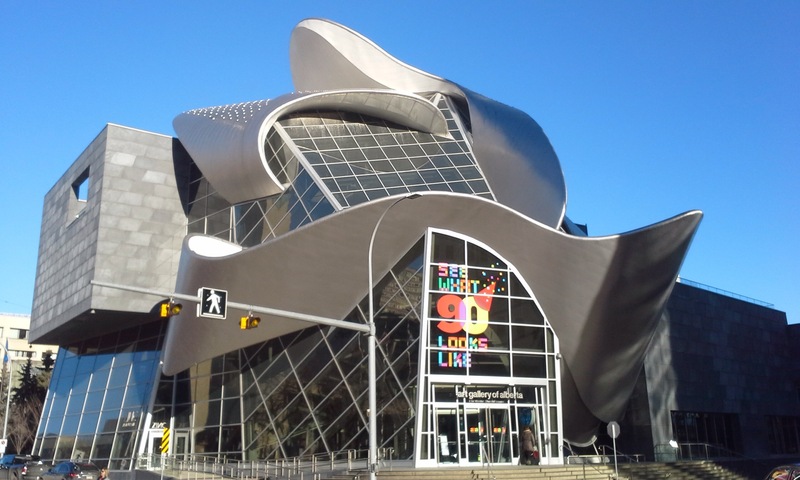 The University of Alberta is such a major cultural shaper of the arts in Alberta–it is really interesting to see such a large-cross section of alumni that have made, and are continuing to make, contributions to the visual arts and education throughout the province and beyond. Check out curator Connor Buchanan’s post here and the brochure is available here.